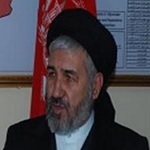 Tolo News: The Afghan Minister of Refugees and Repatriation, Sayed Hussain Alemi Balkhi, said on Tuesday more than 300,000 Afghan refugees have returned home in the past five months. Addressing an event on the eve of World Refugee Day in Kabul, Balkhi said that since the beginning of 2018 more than 900 Afghan migrants have returned home voluntarily just from Europe and another 246 were deported. Click here to read more (external link).